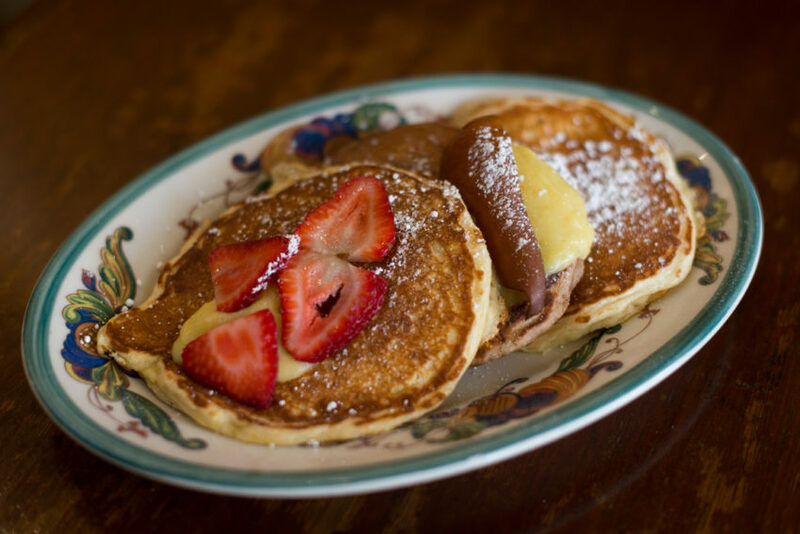 That epic French brunch spot Zazie posted on their Facebook the other day their recipe for pancakes. Sorta. They listed the ingredients, but not how to make them. I looked at some of their other recipes and extrapolated the technique. And they turned out pretty great! NOTE: I halved this recipe, and it made about eight small pancakes. Scoop 1/2 cups of batter onto a hot, greased griddle. Flip pancakes when bubbles form around edges.